San Carlos Clinic in Turin, Italy is a private clinic specializing in IVF reproductive treatments. They cooperate with the Institute of Reproductive Medicine and Gynecology and with the Centre of Research on Medical Bioclimatology-Biotechnologies-Natural Medicine in Milan State University. The clinic was using a conventional CO2 Incubator and due to its low temperature stability, they lose some cycles and embryos. 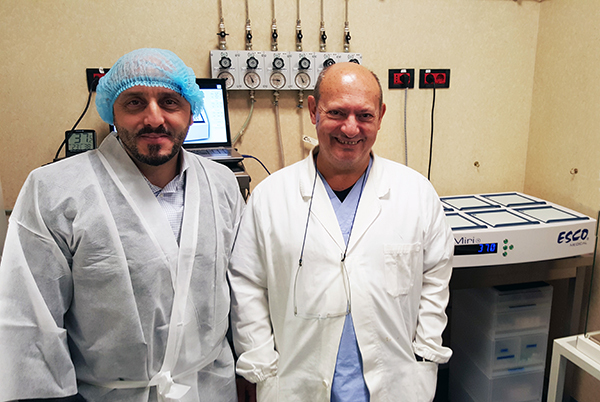 Until Prof. Menaldo saw Miri® Benchtop Multiroom Incubator at ESHRE in Lisbon and in other international references, and purchased this innovative and revolutionary IVF Incubator. With their new Miri® Incubator, higher pregnancy success rates can be achieved.